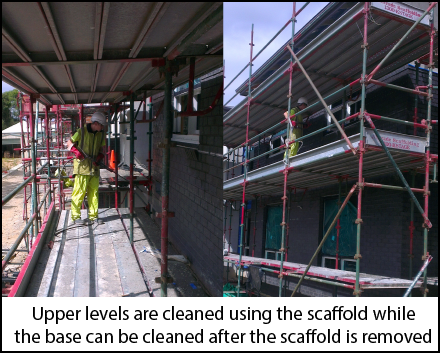 Two Bays Brick Cleaning has been established since 1990 with over 20 years	experience in the specialist Brick Cleaning Industry. Based in Mornington and servicing the Mornington Peninsula and surrounding	areas. We also travel to outlying areas where required. 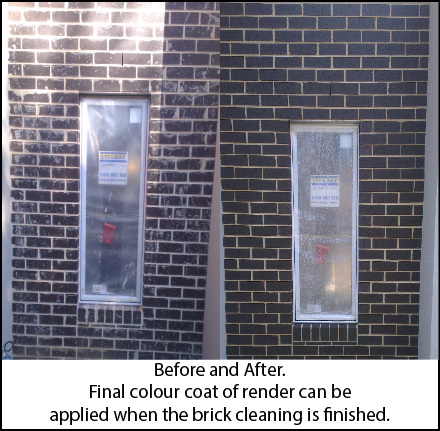 With experience in the Commercial and Residential Building sector no job is to big or to small, from the smallest residential brick work to the largest building development we understand the importance that the brick cleaning means to the presentation of the finished product. 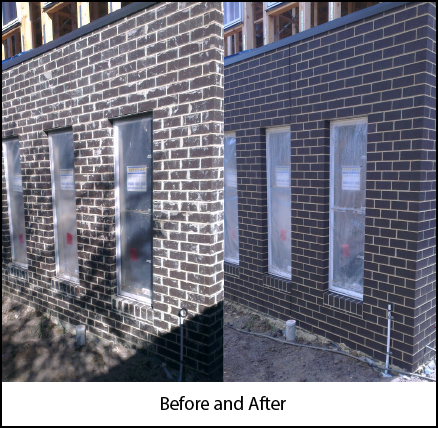 Brick construction can be damaged and the appearance of a building permanently spoilt by the wrong cleaning techniques or chemicals used. At Two Bays Brick Cleaning we evaluate each job separately paying special attention to the type of Brick, Block or Stone work to be cleaned and Mortar used in construction. As more colors, surface finishes and trends appear in the manufacture of clay bricks and masonry products this aspect is of increasing importance in determining the methods and products used in the brick cleaning process. With over 20 years experience in the Residential and Commercial Construction Industry we are proud to have an unblemished safety record.